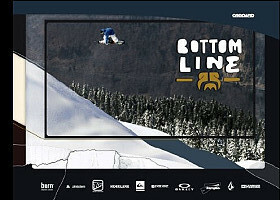 After 10 years of making snowboard movies, it's time for a change! This year's project is called "Bottom Line" and is shot in 16:9. It represents the best of Euro shred and brings you creative urban riding as well as mad backcountry slaughtering...this movie's got it all!